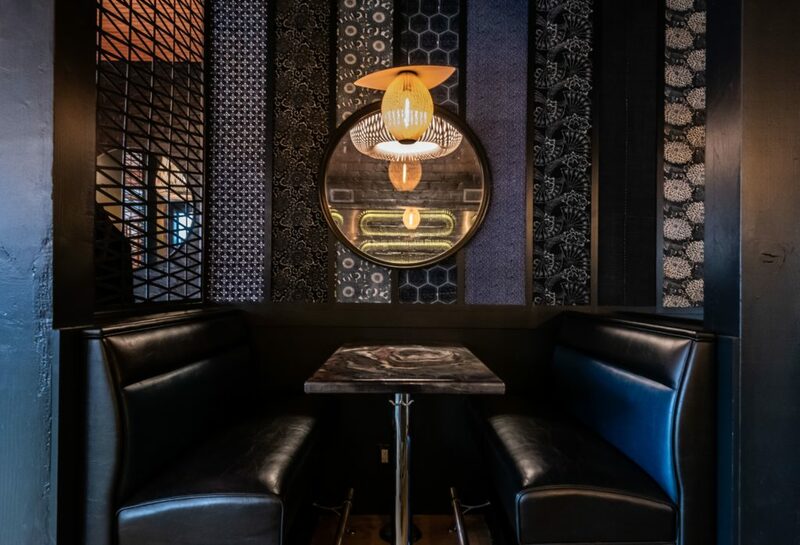 “Mixologists and brothers Ari and Micah Wilder, along with their partners Adrian Williams and Minoru Ogawa, are pleased to announce the late February opening of their latest concept, Zeppelin, at 1544 9th Street, NW, 20001. 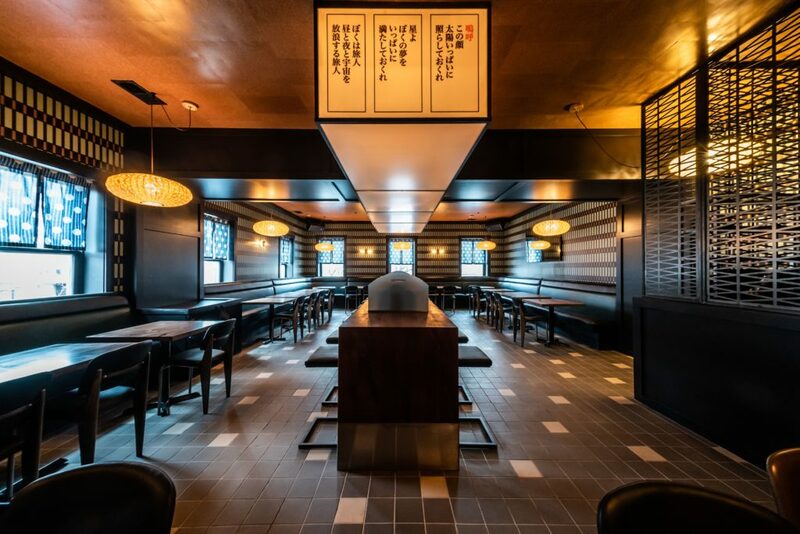 Zeppelin will offer an omakase experience, along with Edomae (Edo-style) sushi, yakitori and other Japanese items hand-selected by Chef/Partner Minoru Ogawa from the Toyosu Market in Tokyo, Japan, and imported directly to the restaurant. Guests can anticipate over 30 different varieties of seasonal fish and shellfish, which will pair well with the restaurants collection of premium sake and craft cocktails. Ari and Micah Wilder have an extensive background in innovative beverage creations with 40 years of combined experience in Washington, D.C. and San Francisco. The dynamic duo has created over a dozen cocktail programs in the nation’s capital since launching their cocktail consulting company Wilder Bros LLC, which supplies cocktail programs with their proprietary mixers and lost ingredients. In July 2014, they opened their first venture together, Chaplin’s Restaurant & Bar, with the assistance of their partners Adrian Williams and Myo Hyun. Notable chef Minoru Ogawa is responsible for the menu at Zeppelin. A native of Tokyo, Japan, Ogawa is a second-generation sushi chef with four decades of experience. Minoru Ogawa ran the sushi programs at every Mandarin Oriental on the East Coast prior to opening his own restaurants. 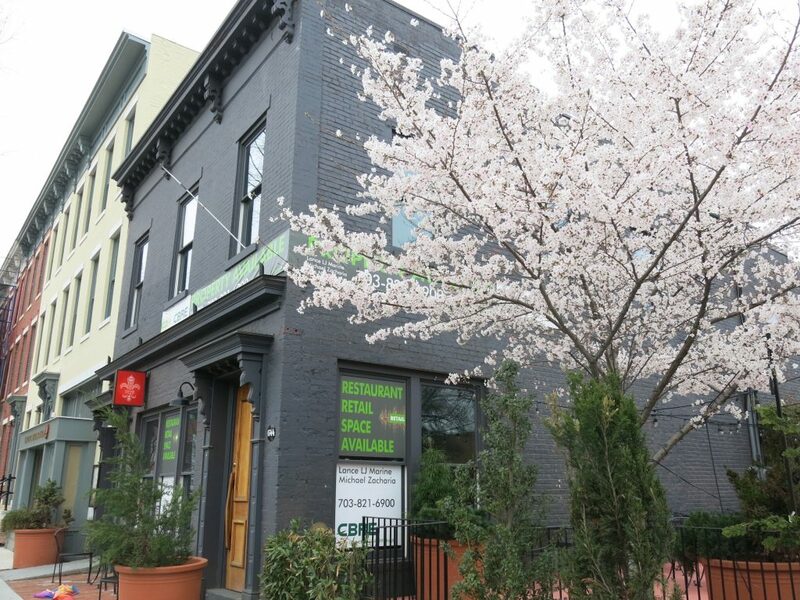 In 2013, Ogawa opened Sushi Capitol, an intimate 20-seat neighborhood concept. Three years later, in February 2016, he opened Sushi Ogawa, a 36-seat restaurant with eight-seat omakase counter, which was named “one of 12 most authentic sushi restaurants in America” by Men’s Journal. In 2018, he opened the modern eight-seat sushi bar at the luxury five-star Mandarin Oriental, Washington D.C. Guests can anticipate over 30 different varieties of seasonal, wild caught fish and shellfish showcased each day, appearing in nigiri, sashimi, maki, yakitori and other Japanese menu items. Standouts include: Aji, horse mackerel; Sanma, Pacific mackerel; Kampachi, Japanese amberjack; Suzuki, sea bass; Tai/Kamachi/Hamadai, sea bream and red snapper; Kinmedai, golden eye snapper; Hokkyoku Iwana, arctic char; Tasmanian King Salmon; Wild Coho Salmon; Zuke Maguro, marinated tuna, as well as Anago, sea eel. Additional menu highlights off the opening menu include: Ikura Shoyu, soy-marinated salmon roe; Hamachi Tataki, seared yellowtail in ponzu sauce and Takoyaki, deep fried octopus, along with other items sourced seasonally by Minoru Ogawa and his team. A variety of chicken skewers such as Hiza Nankotsu, soft knee bone; Sunagimo, gizzard; Reba, liver with salt or sauce, and Kawa, chicken skin is also available on the Yakitori section of the menu along with non-traditional items such as Yaki Onigiri, grilled rice balls with soy sauce; Kalbi, short ribs; Hotate, scallop from Japan; Harami, skirt steak; Kobe Beef and Shishito Peppers cooked over Japanese charcoal. Guests will also find three Omakase, or Chef’s Tasting Menus, at Zeppelin. The first includes 15 pieces of nigiri, priced at $65 per person; the second includes a trio of appetizers, clam miso soup, 15 pieces of nigiri and dessert, priced at $85 per person and the third includes a trio of appetizers, clam miso soup and 15 pieces of nigiri, followed by seven pieces of sashimi and a hand roll, priced at $100 per person. Sake, wine and Champagne pairings along with cocktail & spirit components also accompany the omakase experience. 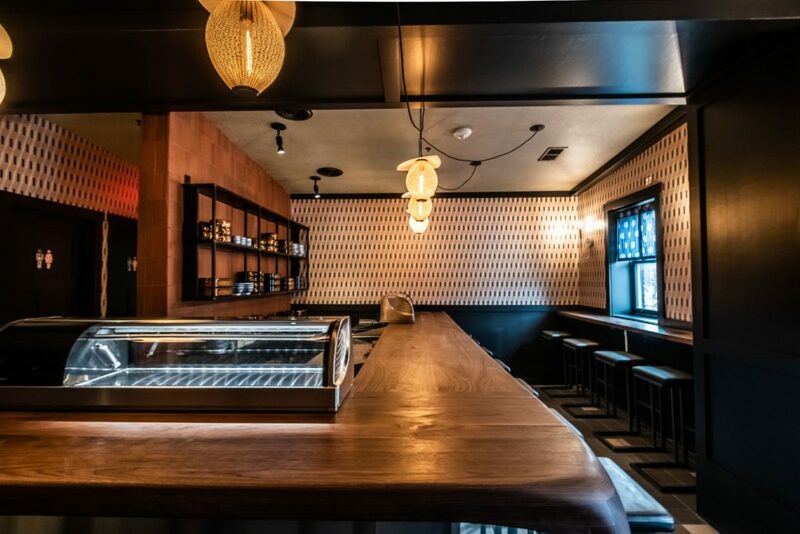 For libations, one will find an eclectic, highly-approachable wine list showcasing esoteric wines that complement the delicate nature of sushi and stands up to the Japanese charcoal grilled yakitori. 40 wines will be available by the bottle and 15 wines by the glass. Prices range from $25 to $300 by the bottle and from $6 to $20 by the glass. 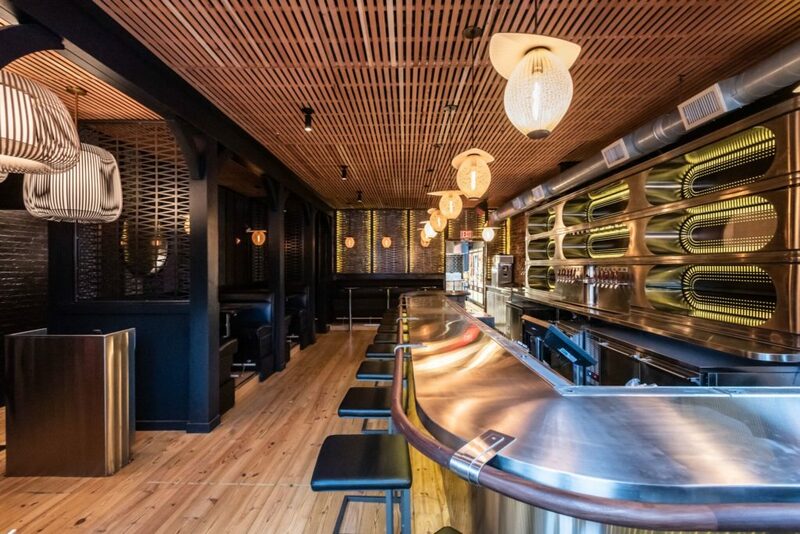 A collection of 80 premium sakes, eight Japanese inspired craft beer and 16 signature cocktails including four on draft and six from a highball machine, which is centered around the back bar will also be available. Reid & Taylor Studio was tapped to create the design scheme for Zeppelin. The 3,000-square-foot, 220-seat dining room was inspired by “The Golden Age of the Great Passenger Airships”. One will find remnants of the retro airships throughout the interior and exterior of the restaurant. 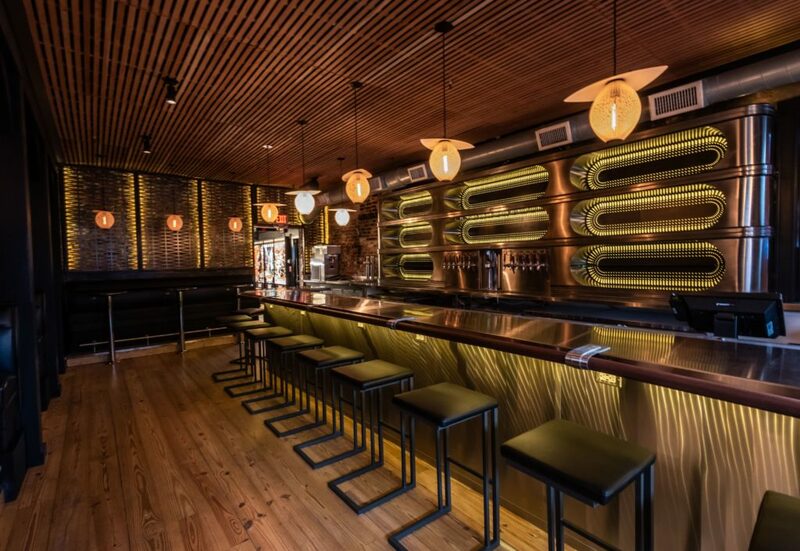 The 20-seat cocktail bar, situated on the first floor, is elegant and seamless with fluid custom metal and cherry wood that is inspired by an airship cocktail party. Vintage Japanese silk cast in resin line the walls. The first floor also offers high booth tables where guests can enjoy traditional yakitori from the bustling open-kitchen. The Omakase bar, situated on the second floor, feels like a sanctuary separated from the lively yatkitori and cocktail bar found on the ground level. The adjacent main dining room transforms into a traditional karaoke room after 10:30 p.m. nightly and offers nods to rock and roll. An 800-square-foot outdoor patio will also be available during the spring and summer months (weather permitting) and can accommodate an additional 65 guests seated. The patio is equipped with old lamp posts and a black & white monster film mural, which covers the expanse of the building facing Q Street, NW.